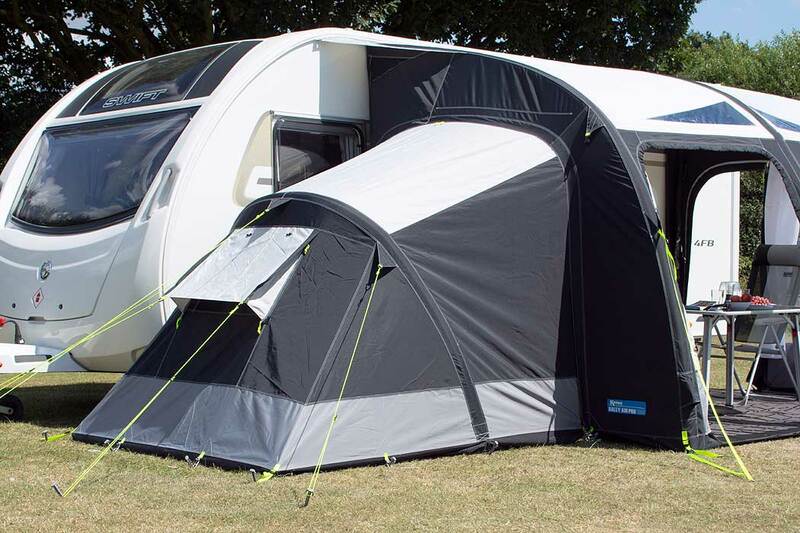 Part of the Rally Air Pro series, the Rally Air Pro 260 was the smallest in the range but Kampa have now added the Rally Air Pro 200. 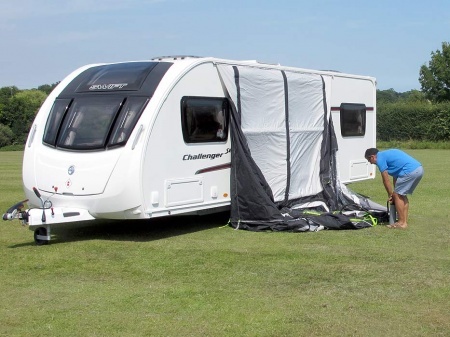 With a width of 2.6 metres and a depth of 2.5 metres the awning provides approximately 6.5 square metres of extra space to your caravan. 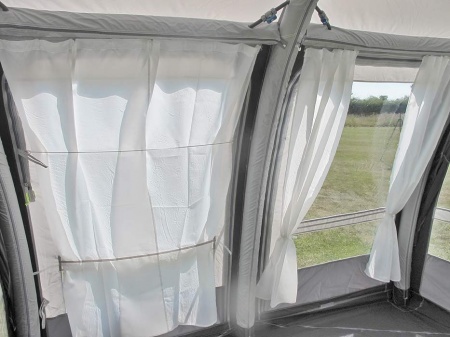 The Kampa Air Pro range of caravan awnings is supplied with curtains to the front windows. 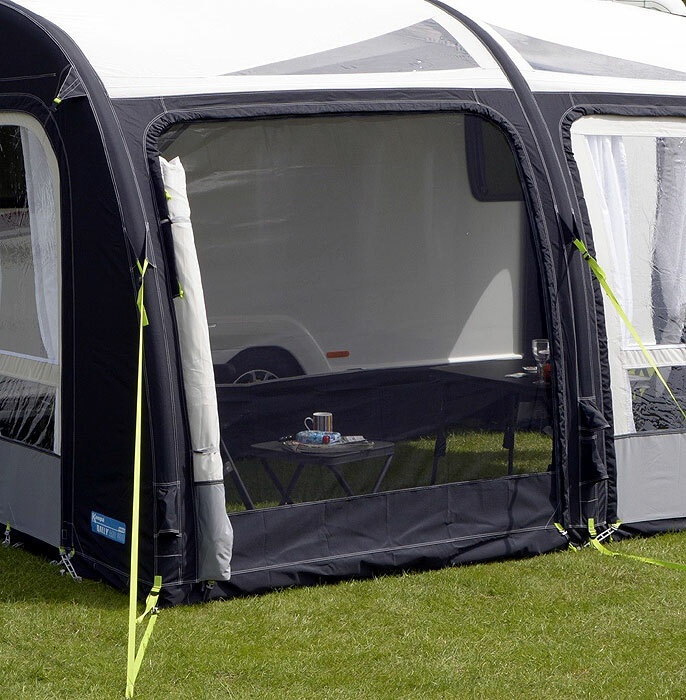 The curtains glide on Kampa's easy slide track for easy convenient operation. 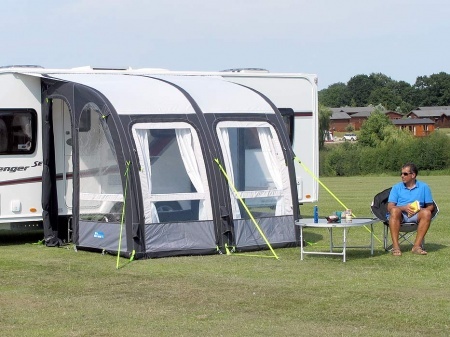 The Kampa Rally Air Pro 260 is also what Kampa call 'Sabre Link Ready'. 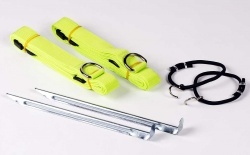 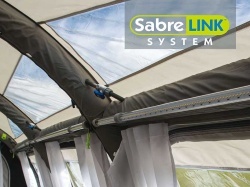 The SabreLink Link System provides effective lighting to your awning. 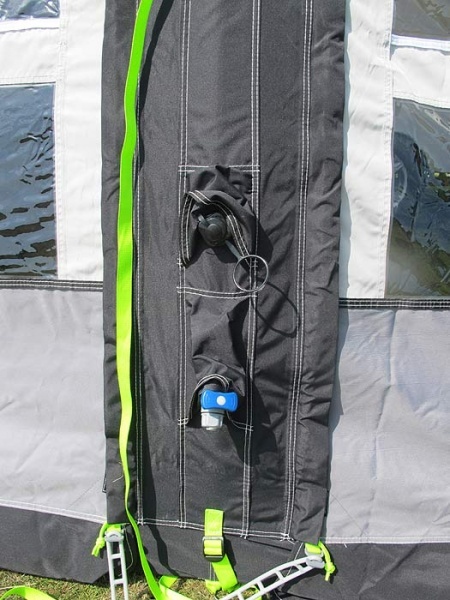 You can link up to three light strips together with each strip having 150 LED lights. 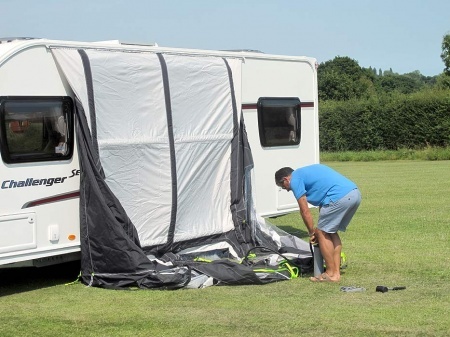 This is an optional extra. Other standard features for the Kampa Rally Air Pro 260 included secondary mesh panels on the side doors. 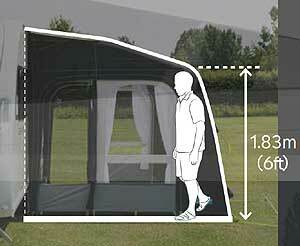 These help to keep out unwanted insects whilst providing ventilation to the awning. 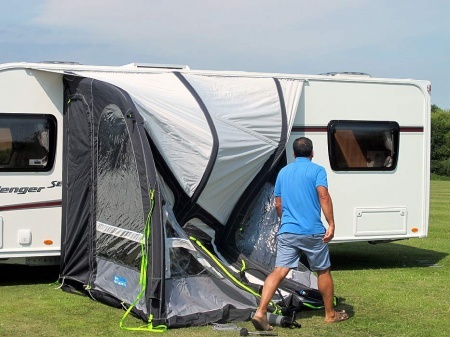 Kampa's QuickPitch guying system also comes as standard. 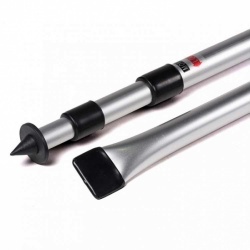 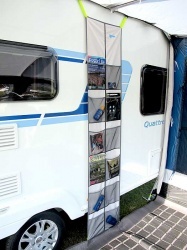 Suitability: The Rally Air Pro 260 is suitable for caravans with a rail height of 235 to 250cm.